Use *7878 to enter the building, then come to suite 607. If you are running late, just come to the conference room on the 11th floor. This is an essential Tarot class. If you are a beginner, put this on your "Don't Miss" list. 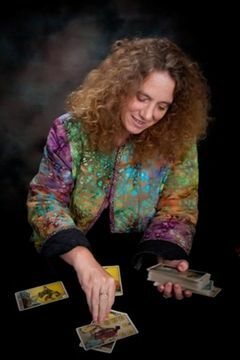 If you are an experienced reader, see this as an opportunity to learn something new about your old friends, the twenty-two cards of the Major Arcana. These cards provide the most spiritual lessons and messages in the Tarot, and tell the universal story of our rise from innocence into experience. In this class you will learn some basic interpretations for these cards, and how to conduct Majors-only readings. This is a three-hour class. Bring a Tarot deck and a notebook.